When I first published, how I made $17,000 in a month, I have shared my earning from affiliate marketing. Many people asked me, how I am working with affiliate programs? Majority of my income is from affiliate marketing. If you are into blogging, then you already know the term “Affiliate marketing.” It is one of the most effective ways to make money online. What are the affiliate marketing terms? How to start with affiliate marketing? / How to find the best affiliate program to promote? How to build a website for affiliate marketing? Adsense vs. affiliate marketing: Which is best? What are the best Affiliate marketing programs? Today I will discuss everything with you to give you complete clarity about affiliate marketing business. Affiliate marketing is performance-based marketing. It is a way to make passive income. It is the oldest yet effective strategy to earn money. Affiliate marketing is an online way to make sales. In affiliate marketing, you make money as an affiliate by promoting the products and services of others businesses or brands. You earn commission for each sale generated by your efforts. Affiliate marketers usually make a commission for one-time purchase or recurring commission. In affiliate marketing, four parties involved in the whole process. Merchant knew as creator/seller/brand/vendor/retailer. Merchant is the main party who owns or create the product. A merchant can be a big brand like Apple or a small vendor like a local store. From large Fortune 500 companies to start-ups anyone can create a product and become a merchant. To become a merchant, all you need is to have a product to sell. If you are a blogger or publisher, then you can also work as an affiliate marketer. No matter you are working with a team, or as an individual, you can still become an affiliate. The consumers or buyers are the reason why brands are running affiliate programs. Consumer or buyer will not get paid any commission for buying the product or service, but sometimes they get exclusive discounts. Affiliate network or affiliate marketplace is a place where affiliate marketers connect with the merchant. Affiliate marketplace or system works as an intermediate between merchant and affiliate network. The benefit of joining an affiliate network is that they handle the product delivery and payment. An affiliate network such as CJ, Clickbank, Shareasale, etc. covers a lot of products or services that you can promote. If you want to promote products like ebooks, tools, toys or electronics, then Amazon affiliate program is an excellent place for you. Now you have understood what affiliate marketing is and what are the parties involved in affiliate marketing? Now it is the time to understand various affiliates marketing terms before you start your career as an affiliate marketer. I have already covered about affiliate marketer and affiliate marketplace, so not let’s see the remaining important affiliate marketing terms. Software which company or brand uses to create an affiliate program is known as affiliate software. Every affiliate program assigns a unique ID to its affiliate marketer that ID is known as affiliate ID. Brands use this ID to track your affiliate efforts. The affiliate link is a link that is assigned to you to track your progress of promotion. Many favorite affiliate marketing companies have dedicated affiliate managers to help publishers quickly manage their affiliate programs. Programs like Hostgator allow you to customize coupons to convert sales easily. You can also offer exclusive discounts to boost affiliate sales. If you are one of the top affiliate marketers for a business, then it can allow you to create a custom affiliate account. A landing page is also known as demo page or different sale page of product or service. Webmasters or affiliate marketers use this page to increase conversion or run A/B tests. Affiliate programs such as Thirsty Affiliates allow you to use link clocking technology. In link clocking, you turn affiliate links into shorter links which are easy to understand. Affiliate marketplaces use various payment methods such as PayPal, Wire Transfer, Cheque, etc. Some in-house affiliate programs such as Bluehost run 2-tier affiliate programs. It is a great way to make money with affiliate programs. In this type of program, you recommend others to join an affiliate network and receive a commission when your sub-affiliate generate a sale. Now you understand all the essential affiliate marketing terms. 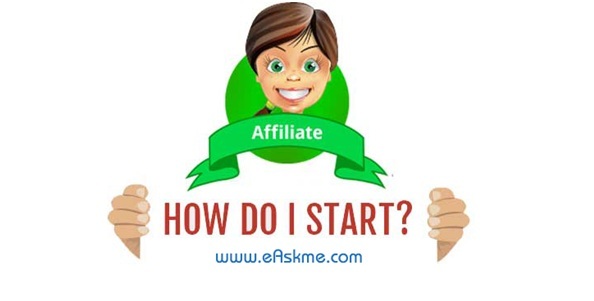 Now you may ask that how you can start with affiliate marketing. When it comes to starting with affiliate marketing, the main thing you need is to find the best affiliate program to promote on your blog. To become an affiliate marketer, you need to have an affiliate product or service to promote. For that, you need to register on an affiliate marketplace. Find the product on affiliate marketplace and apply to join. After joining the program find the link or banner code that you want to display on your blog. Promote the affiliate products to generate sales. Now the question is how you can find the best affiliate program that converts easily? How to find the best affiliate program for your blog? The success of an affiliate marketer depends upon the type of affiliate programs he promotes and how he promotes those programs. What is your blog niche? What your targeted audience interested? Is the product or service valuable to the consumer? Make sure the product you choose is related to your blog niche. The reason behind this strategy is that people coming on your blog is interested in the product or information which is related to your blog niche. So, if you promote the relevant product, you will have more chance to boost conversion rate. You need to analyze the behavior of your readers and find out what they find most interesting on your blog. Choose the similar products to promote. You can only generate affiliate sales if the commodity is valuable to the readers. People don’t buy affiliate products if they do not find them useful. You need to understand that the quality and price of the product should be appealing to your visitors. Join popular affiliate marketplace to find the best and suitable product for your blog. The benefit of joining an affiliate marketplace is that you can quickly enter multiple affiliate programs from one place and also get paid once you’re combined earning reach minimum threshold balance. What are the most popular affiliate marketplaces? When it comes to making money with affiliate marketing, then you should focus on choosing the products which not only related to your niche but also with high conversion rate. First, understand the need of your audience and then select the right product to promote. If you want to convert your affiliate product, then you should focus on attracting highly targeted traffic. You cannot expect people to buy a product just by displaying them on your blog. You need to connect people on social networks, discussion groups and use word of mouth to promote your products. You can review the product or write an article about how the product is useful and why people need it. You can make people aware of the usability of the product and boost your chances to convert a visitor into lead or sale. Email marketing is one of the most popular ways of marketing. Professional bloggers focus on building an email list. It helps them quickly pitch products to the subscribers. Running free ads is also a strategy that people are using to attract more traffic and generate some leads. You can run free ads on open networks to find the targeted traffic. Paid advertising is one of the most effective ways to attract the highly targeted traffic. You can easily attract highly targeted traffic by running campaigns using Google Adwords. All you need is run an ad with the link to your content when people can find affiliate product. You can run various tests to see which ad converts better. When you become a brand, or you become an influencer, then you can quickly make more sales than an ordinary affiliate marketer. People always love to follow expert advice. When you establish your reputation as an expert in your niche, then you can efficiently guide people to the affiliate links to buy the products and make good commission. These are the most effective ways how you can make money with affiliate marketing. Why should you become an Affiliate Marketer? Now you know that what is affiliate marketing and how to make money with affiliate marketing. I believe you should also understand that Why I am telling you to become an affiliate marketer. Passive income is always good. Affiliate marketing makes you able to earn passive income for the lifetime or as long as you can influence the people. You do not need to spend a dollar to join an affiliate program. Save money as you do not need to set up customer support as you are not the merchant. Also, You need not to pay anything for shipping as you are not responsible for that. You can quickly make money as an affiliate marketer working from home. You do not need an office or staff for this. All you need is a blog or strategy to promote affiliate products. Now you know why I am asking you to become an affiliate marketer in this complete affiliate marketing guide. This is one of the most asked questions by the people who want to take their step forward in the field of affiliate marketing. Bloggers are always in love with Adsense to monetize their blog, and there is no doubt that Adsense is the best contextual ad network. But still, it cannot beat the earning from a single sale of affiliate products. For example; If you monetize your blog with Adsense, you can earn 0.03$ to $1 in most of the cases for a single click. But If you monetize your blog with Affiliate marketing, then one sale can make you earn anything between $1-$1000. So you see that affiliate marketing can help you earn way more than the making from Adsense. The second thing that I want to mention here is that even a newbie can start making money from day one with affiliate marketing. But Adsense takes times to approve your blog. If you want to monetize your blog with contextual ads, then Adsense is right for you, but if you’re going to make serious dollars, then you should focus on affiliate marketing. is promoting the products of other brands on your blog. In a way, It is similar to the ads we watch on TV, and we buy what we like. Affiliate marketing is open for all. If you also one of those who wants to make some serious money then you should focus on establishing affiliate marketing business. In this complete affiliate marketing guide, I have covered some of the most asked questions about affiliate marketing. Have question, ask via comments. I must say I have never seen a thorough guide like this before. Every article on your site is complete. You have put all the efforts to get this information at one place. I must say, your blog is containing some really high quality information about every single topic. You have really created complete guides on every topic. It is good to know how a nebie can start with affiliate marketing. 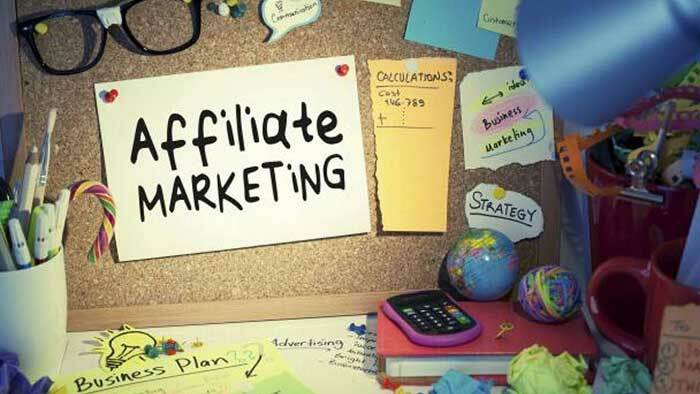 Affilate Marketing is one of the great source of income for most of niches. The start might be slow, but as the blog grows, things used to tun on by getting great sales…! It’s all about building trust, being Authorative among your readers. I am learning good always about affiliate marketing. Affiliate marketing is definitely the best type of marketing. It helps you to grow from a common blogger to a professional full-time blogging expert.